Interior elements for DUCTTAPE, Ponsonby. DUCTTAPE is a one stop shop for all your Mr. Fix-It electronic needs. I created a custom wallpaper involving over 30 hand-drawn elements relative to the business in general as well as adding in some fun stuff like the owners dog. Also pictured is a wall decal of a repair information station. Thanks to the Material Creative girls for making it happen. Interior elements for DUCTTAPE, Ponsonby Central. 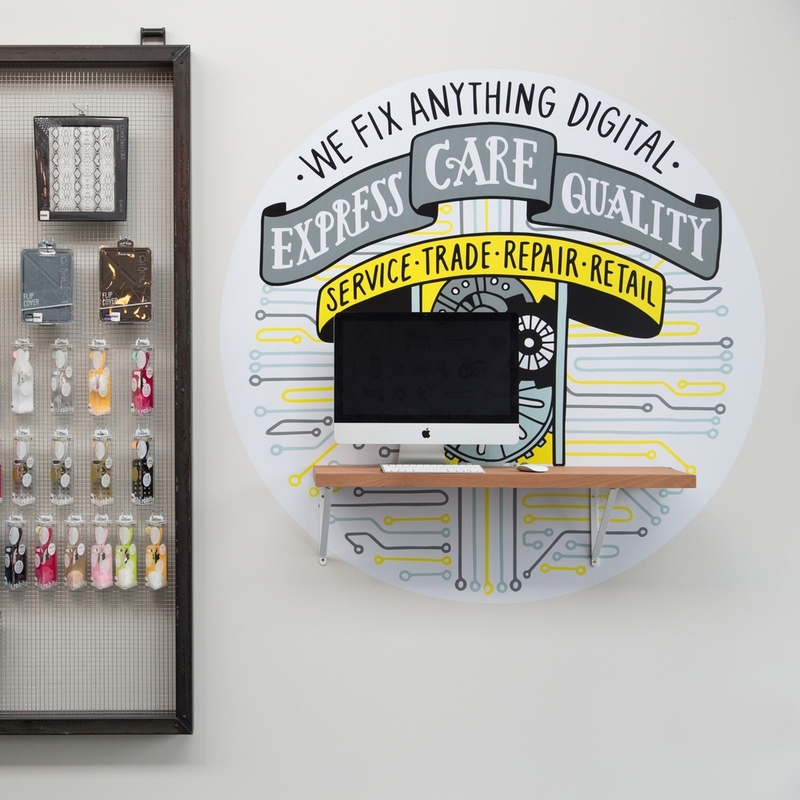 DUCTTAPE is a one stop shop for all your Mr. Fix-It electronic needs. I created a custom wallpaper involving over 30 hand-drawn elements relative to the business in general as well as adding in some fun stuff like the owners dog. Also pictured is a wall decal of a repair information station. Thanks to the Material Creative girls for making it happen.